The Nisnass Online Shopping Sale Ends Today — Don’t Miss it! 1. Did someone say 2-hour delivery?! It’s not every day you come across a shopping app that offers two-hour delivery within Dubai! Perfect for the last-minute shopper, you’ll be able to shop all the latest trends and get your order delivered to your doorstep in just a couple of hours. No more last-minute trips to the mall! “Denim jacket.” “Black shoes.” “Summer dress.” Yep, that’s right – Nisnass lets you find everything you’re looking for through its innovative voice search feature. How? All you need to do is select the microphone icon next to the search bar, hold down the larger icon at the bottom of the screen and say your command out loud. It really is that simple! Offering a “no questions asked” returns policy (within reason, of course), you’ll be able to return items for free up to 30 days from the day of delivery. Offering over 400 international brands across a massive array of categories, Nisnass caters to all genders, ages and styles. Shoes, bags, clothes, accessories, beauty, home… you’ll find the trendiest and funkiest collection of items just waiting to be discovered. Our favourite Nisnass brands include the likes of Tommy Hilfiger, Reiss and Trendyol, to name a few. 6. Earn points & shop ’til you drop! If you’re like us and love collecting loyalty points, Al Tayer Group’s Amber rewards program is definitely worth checking out. It lets you collect points and redeem them with over 100 Al Tayer Group brands, including Nisnass! On top of this, Amber members will also benefit from exclusive offers, promotions and event invitations. Interested? All you need to do is sign up to an Amber account, shop and start earning points by showing your digital card. From beauty to fashion and everything in between, download the Nisnass app for all your online shopping needs! 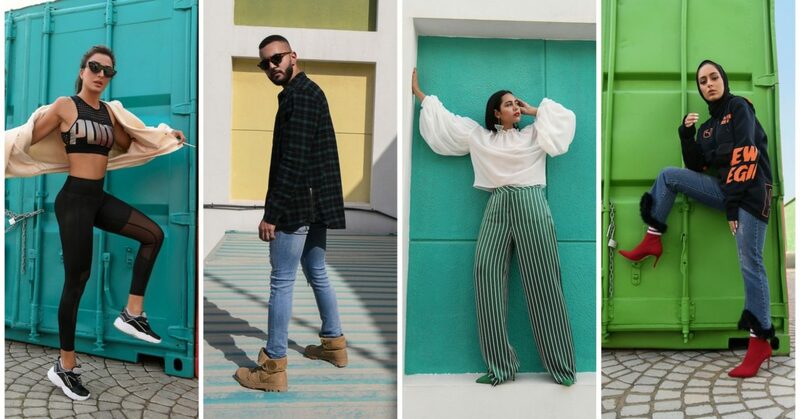 If you’re looking for a little style inspo, check out the recently-launched #NisnassCrew on Instagram, Twitter and Facebook. previousWe’re Giving Away 2 Gift Cards Worth AED 2,000 – Who Wants Them?! nextTime to Get Festive at Armani Hotel Dubai this Season!